← electrocution and marriage rates: correlation or cause? Personally, I find the results of these studies give my heart a little lift – maybe because they confirm some things I want to believe about human beings (confirmation bias! ), and some obscure sense of fairness. They indicate that doing good for others – for instance, engaging in many of the volunteer activities of CAS – can improve our own health and happiness. Moreover, they suggest that doing good for others is contagious – that those who benefit pass on their attitudes and actions! I find these fine conclusions for a time of year when, in my part of the world (western Canadian coast), huge social emphasis falls on giving gifts and caring about the welfare of others. In my own community in recent weeks, innumerable people have been busily supporting undertakings from the local to the global – from gathering contributions for local food banks to organizing fundraisers for relief or development beyond our borders. As at any other time of year, they seem to feel pretty good about helping others. Admittedly, it’s certainly not new to say that people feel good about doing good. What is fairly new, however, are the forms of justification provided for this familiar knowledge claim. Recent studies illustrate the methods of the human sciences, their differences from the methods of ethics even when the subject matter appears to overlap, and the benefit to our understanding of incorporating the contributions of both these areas of knowledge. They also point to the overlap in questions posed by TOK and CAS reflection. As we are aware in TOK, ethics is an area of knowledge that deals with how we should think and act. It asks, “What is the nature of goodness?” and “How do we know what the moral thing is to do?” It works through analytical thought and argument to establish and clarify concepts and, at the applied end of its spectrum, to argue for different approaches to justifying — guiding or judging — moral choices and decision-making. The human sciences, in contrast, are an area of knowledge that deals with how we do think and act. They ask, “How do people actually behave, and how do we know this?” “What are the appropriate methodologies for studying people to answer these questions?” They do not necessarily take on questions of moral actions at all – of generosity or kindness – but when they do so, they investigate them with methods that test for significant correlations in actual human actions and responses, and venture into suggesting causal connections. 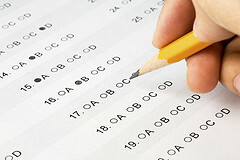 In recent studies of the effect on people of doing good for others, methods include ones characteristics of the human science of psychology: questionnaires and interviews with questions carefully prepared to survey a population; tests to see how people respond to specific set-up situations; and brain scans to observe what happens in the brain when people are stimulated to think of particular situations. The results of questionnaires show that people who volunteer or donate to help others benefit in their own health and happiness. In one study, for instance, 76% of a sample of over 3,000 American adults surveyed by the UnitedHealth Group indicated that people who volunteered felt better physically, mentally, and emotionally. In a wider-reaching study of 200,000 adults in 136 countries, researchers from Simon Fraser University in Vancouver combined a variety of methods: they crunched data, asked questions, and did tests. They found a positive link between charitable donation from income (data) and subjective well-being (questionnaire). They also randomly assigned adults to spend on themselves or on others (tests), and found that those who spent on others experienced greater happiness (questionnaire). Oh – and let me squeeze in just one more! Generous actions from one stranger to another seem to be contagious, according to tests that trace cascades through social networks. Generosity is passed on, though with decreasing effect, over several degrees of separation. And why am I smiling about all this? Maybe I don’t really know why I’m smiling as I read these studies. Maybe I need a good psychologist and some MRI brain scans to tell me. I’m also very pleased, after decades of involvement in both TOK and CAS, to think about how they work together in encouraging students to involve themselves in questions of empathy and ethical action. 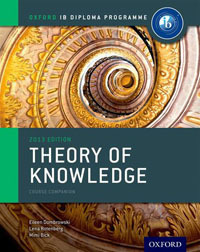 TOK deals with empathy most centrally as a convergence of ways of knowing. Emotion and imagination, and possibly intuition, are most obviously involved in being able to “feel for others”. But they are accompanied by the other ways of knowing, such as sense perception and reason leading to general observations of people and the world that help us to understand sadness, hardship, and need. Memory and language, further, help us assimilate what others have said about the circumstances of need and the impact on human beings. Empathy is a topic that arises in many parts of the TOK course, mostly related to questions of understanding other people – and whether “understanding” is a reliable justification for interpretations in the human sciences, history, or the arts. Both TOK and CAS, in their reflections, link empathy and ethical concepts with how we interact with others. Yet TOK, as ever, stands back from actual engagement in action. What it contributes is important: skills of critical thinking to evaluate the knowledge base on which effective action rests, recognition that knowledge has implications for action, and awareness of ethical perspectives on evaluating right action. 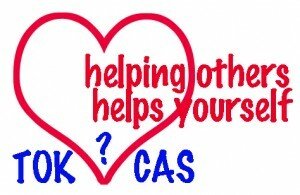 But then it is CAS that takes over and plans volunteer work and various forms of actively helping others. It is CAS that provides the experiential knowledge and develops skills not just of acting but of acting ethically and effectively. As teachers, we’ve long recognized the benefits for students’ education of actively helping others in the community and the world; their doing so is significant to IB educational goals. But now we can add another benefit, with the support of psychological research: we could well be improving our students’ own health and happiness, for now and for the future. If you’ve read this far, you probably share my own interest in connecting TOK with the world – with real research going on at the moment and its implications, and with the relationship between thinking and acting. For an emphasis on developing critical thinking toward acting well, I can refer you to my TOK IB course companion. For now, I’ll leave you with a classroom activity. Researchers Lara Aknin and Elizabeth Dunn won an honorable mention in the Social Psychology Network’s 2013 Action Teaching Award for this activity entitled “From Wealth to Well-Being: Spending Money on Others Promotes Happiness”. I’ve not used it myself in class, but I can see its usefulness for catching student interest and launching discussion on connections between ways of knowing and ethical ideas. It could also broaden into a discussion of the relationship between TOK and CAS. I leave it, with all its possibilities, in your hands. 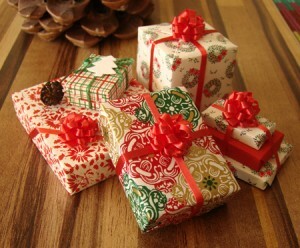 And finally, I send you all the good wishes that, in my part of the world, go with this season. As we move deeper in deeper into darkness, I wish you, at the very least, a Happy Solstice! 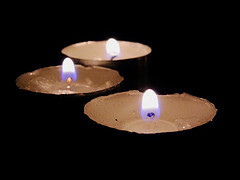 In many a metaphorical way, enjoy lighting the candles. This entry was posted in IB Theory of Knowledge and tagged CAS, cause, confirmation bias, emotion, ethics, evidence, human sciences, methodology, statistics. Bookmark the permalink.